A few days ago Freshworks announced the acquisition of startup Joe Hukum, making it its eighth acquisition. Joe Hukum builds a chatbot platform that enables companies to quickly build their own chatbots for sales-, service-, or marketing purposes. In contrast to the technologies built by Frilp (acquired October, 2015) and Chatimity (acquired October, 2016) that rely on NLP (Natural Language Processing, as opposed to Neuro-Linguistic Programming) technologies, these bots are built using a Decision Tree technology. In order to be able to provide more advanced speech recognition they can connect to services of the Stanford Natural Language Processing Group, wit.ai, or api.ai. The created bots can be connected to websites, apps, or Facebook. The press release got published on July 20, 2017, but you can read it right here, before moving on to My Take. San Bruno, July 2017 — Freshworks, the leading provider of cloud-based business software, today announced the acquisition of Joe Hukum, a platform that enables businesses to build their own chatbots based on logical workflows. This acquisition marks Freshworks’ eighth in just under two years, as it further bolsters capabilities to strengthen its business software suite. Freshworks had earlier acquired Chatimity and Frilp, key acquisitions that are enhancing neuro-linguistic programming (NLP) based Artificial Intelligence capabilities, while Joe Hukum’s decision tree based frameworks complete key capabilities to launch chatbot-powered solutions. Joe Hukum was founded in July 2015 by Arihant Jain, Ajeet Kushwaha, and Rahul Agarwal, who were the founding team behind two of India’s most prominent healthcare startups, HealthKart and 1mg. Joe Hukum’s technology is powered by a robust decision tree framework that automates sales, service, and support workflows, across various channels and user interfaces. The Joe Hukum team will be responsible for building bots on top of existing Freshworks products, enabling workflow automations for demand generation, knowledge management, and dynamic in-app self service. Consumers today spend the most amount of their time messaging, even more than what they do on social media. According to a Gartner report, by 2019, 40% of enterprises will be actively using chatbots to facilitate business processes using natural-language interactions. Recently dubbed one of Forbes’ next billion-dollar startups, Freshworks has experienced an incredible year of growth. Each acquisition it makes not only brings new capabilities to the Freshworks suite of products but also brings intelligent and creative talent to the ever growing team. 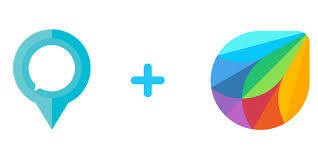 To learn more about Freshworks, please visit http://www.freshworks.com. Freshworks Inc. is the parent company behind the suite of products which includes Freshdesk, Freshservice, Freshsales and Freshcaller. The company’s suite of products is designed to work tightly together to increase collaboration and help teams better connect and communicate with their customers and co-workers. Founded in October 2010, Freshworks Inc. is backed by Accel, Tiger Global Management, CapitalG, and Sequoia Capital India. Freshworks has its HQ in San Bruno, California and global offices in India, UK, Australia, and Germany. The company’s cloud-based suite of SaaS products is widely used by over 100,000 customers around the world including Honda, Bridgestone, Hugo Boss, University of Pennsylvania, Toshiba and Cisco. Bots are here to stay (and improve). This acquisition is in my eyes an interesting move that focuses on the near term gain that bots can provide through automation of narrowly focusing on specific topics. The decision tree technology that Joe Hukum provides gives exactly that. The customer provides a workflow chart or decision matrix, which then gets converted into a bot. This makes for easy configuration and likely also configurability. Decision tree technology is also more mature than other, AI based, technologies, but it takes a lot of the machine learning out of the picture. This is not necessarily a bad thing for adoption, but also have a look at the concerns below. Acquiring Joe Hukum describes a natural evolution after having acquired chat- and collaboration platforms and technologies in the past. Now Freshworks has gained the ability to improve process automation on their backs – along with another chat platform to consolidate. However, it ties neatly into Freshdesk as well as Freshsales, more importantly also on the channels that humans use. I do see some immediate use cases in lead capturing to conversion processes due to engaging into conversations and in the support area by using bots as the first level of engagement by making them the front end to FAQs. On the concerns side this acquisition is focusing rather on automation and optimization than on customer experience since, judging by the presented flows, there is an IVR-like guidance of the customer, instead of following the user’s flow. On the other hand even companies focusing on speech recognition for long times like Nuance Technology have a hard time with intent detection and the proper reaction to this intent. But then Nuance is focusing on (dynamic) decision trees, too. Another concern could be the reliance on third party speech recognition that Joe Hukum has. While this is inevitable when starting a solution fast speech recognition, and increasingly –generation, will become a core technology that will permeate business- and other applications in a world that moves to ambient computing. But here the technologies acquired earlier should be of help in this area.